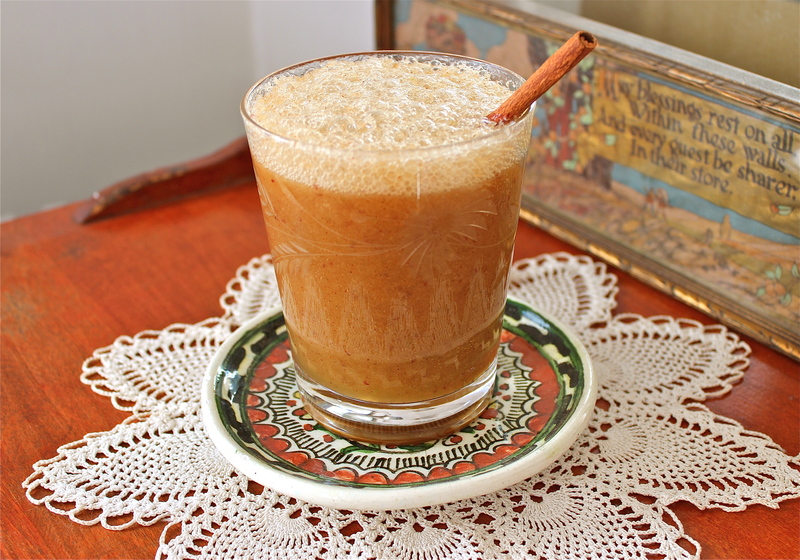 APPLE CIDER is as varied and versatile as the fruit from which it is pressed. It can be frozen or fermented, guzzled fresh or used in cooking, pasteurized (or not), made from almost any apple variety (usually a blend), in almost any condition (dings and dents welcome). Cider was America’s drink from Colonial days until well into mid-19th century, when it fell victim to several factors, including the migration to cities and the rise in popularity of beer. But cider is experiencing a revival, from large commercial producers to small orchards and cider mills that make unique blends, to people who are experimenting with small batches made in their homes. There are a number of ciders, from the sweet, unfermented drink we commonly know now, to several types (and strengths) of “hard,” or alcoholic, cider, which can be as strong as wine. Distilled further, cider can be made into applejack or apple brandy. Many orchards press their own cider, and there are a growing number of cider mills and passionate artisan cider makers that are reviving the art of finding and pressing rare apples that are virtually inedible, but lend a richness and complexity to their cider. You could write a book about cider. In fact, several people have. Two that we recommend are Cider, Hard and Sweet, by Ben Watson, and Cider: Making, Using & Enjoying Sweet & Hard Cider, by Lew Nichols and Annie Proulx, author of the acclaimed novel Shipping News. Both give detailed instruction on cider-making; Watson’s book includes a global history of cider, fun facts, and descriptions of varieties favored by seasoned makers. We are often asked the difference between apple juice and cider. Both drinks are made from apples, but apple juice is clear, invariably sweet, and keeps longer than cider. The primary reason is filtration; all of the pulp found in cider is strained out of the juice, giving it a lighter color and extending its shelf life. While making true hard cider requires some special equipment and a number of steps, fermenting cider into something fizzy and slightly alcoholic couldn’t be easier. Just take a jug of cider and leave it alone, and once past the expiration date the fermentation begins. Be careful, though; we heard last week of a woman who carefully cleaned her refrigerator and then, against her better judgment, put back in an old jug of cider that her husband was saving. The cider had begun to ferment, and soon the resulting gases built up so much pressure on the plastic cap that there was an explosion. We are happy to report that her husband at least cleaned up after his own mess. About freezing cider: it is a perfectly good way to store cider for the long-term if you don’t want it to get fizzy in the fridge. Just remember to remove a little liquid first (at least one-quarter cup for a gallon jug), or it will pop the cap as it expands. AN EARLY, HEAVY SNOW blankets much of New England. It’s hard to think that just one month ago we were cleaning our sticky apple booth in the Massachusetts House at the Big E (Eastern States Exposition), closing it up for another year. The occasional cider spill is inevitable, but this year it was coupled with smoothie spills. More on that in a minute. First, think back to our post, Oct. 6, 2011, on Dings and Dents. We gave that a lot of thought at the fair because the apples with small blemishes didn’t seem to sell as fast. We got to putting these slightly imperfect apples into the door of the fridge, saving them for smoothies. With the purchase of a commercial-grade blender, a few Macs from the Ding & Dent Department, fresh Carlson cider, spices, and (optional) ice cream, Big E booth manager Bar Lois Weeks produced a recipe for our very own Apple Pie Smoothie that we’d like to share with you, just in time for Franklin County CiderDays this weekend. It’s quick and easy, inexpensive, healthy, and delicious! Set blender on high until the apple peel is in small flecks. Garnish with a cinnamon stick. Enjoy your apple-a-day the easy way! 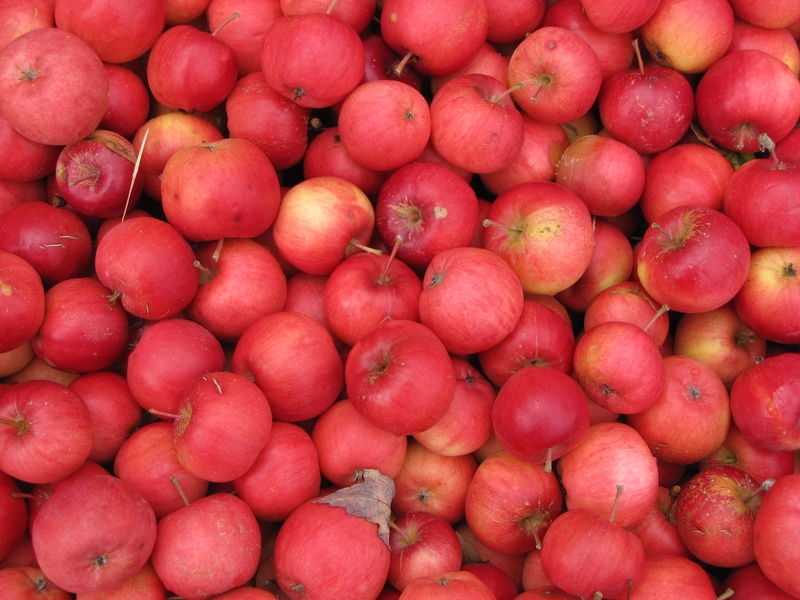 Don’t miss this weekend’s 17th Annual Franklin County CiderDays. Some of the events are free, others require fees and reservations, but the two-day event offers a wide range of cider-related activities and workshops in the towns of Colrain, Deerfield, Greenfield, and Shelburne Falls, Massachusetts. A schedule can be downloaded from the CiderDays website.